The seasoned politician has been at loggerheads with the party for a long time. 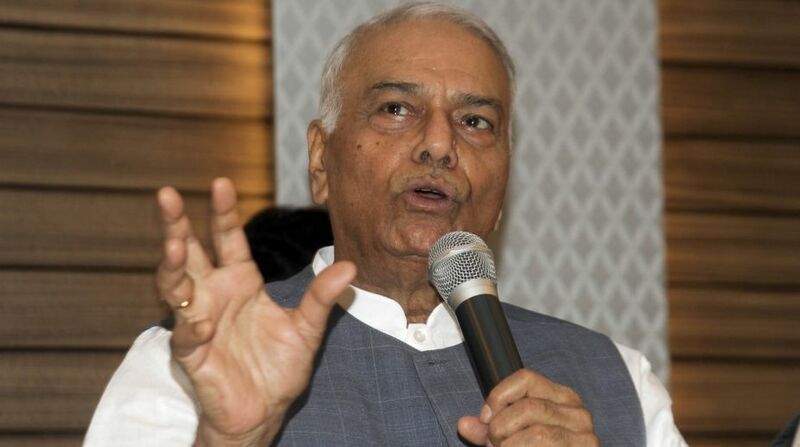 In a sudden development, former Union finance minister Yashwant Sinha quit Bharatiya Janata Party (BJP) on Saturday. “The biggest danger that the nation faces today is about the state and future of democracy! I am going to dedicate the rest of my life to this mission,” said Sinha at a meeting of anti-BJP parties in Patna on 21 April, which was attended by members of the Congress, the Rashtriya Janata Dal (RJD), Aam Aadmi Party (AAP) and Janata Dal (United). “Four years ago, I took sanyas from electoral politics and today I announce my sanyas from party politics. I will not take membership of any other party. I will continue to fight for saving democracy in the country,” said Sinha in Patna. The seasoned politician has been at loggerheads with the party for a long time. He has been criticial of the party leadership under Prime Minister Narendra Modi since the elevation of the then Gujarat Chief Minister as the prime ministerial candidate. The gathering was held under the banner of the Rashtra Manch – a group floated by Sinha on 30 January along with BJP leader Shatrughan Sinha, who holds similar views on the saffron party under Modi. Both Shatrughan Sinha, Yashwant Sinha had met West Bengal Chief Minister and Trinamool Congress chief Mamata Banerjee on 28 March. The two had praised her for trying to create an anti-BJP coalition minus the Congress ahead of the crucial 2019 Lok Sabha elections. In an open letter addressed to BJP workers on 17 April published in The Indian Express, Sinha painted a grim picture of the country under the Modi rule. “The economic situation is grim, despite tall claims to the contrary by the government that we are the world’s fastest growing economy,” he wrote while highlighting the series of scams that rocked the nation and scamsters flying out of the country “as the government watches helplessly”. “Institutions of democracy have been demeaned and denigrated. Parliament has been reduced to the level of a joke,” he wrote. 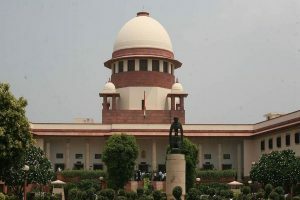 Sinha has been particularly scathing in his assessment of the Prime Minister comparing his style of governance to that of an autocratic system where “they speak and you listen”. He also criticised the foreign policy adopted by the Modi government calling it a “sum total of frequent foreign visits by the prime minister and his hugging foreign dignitaries”. Sinha was the Minister of Finance under the BJP-led NDA government of Atal Bihari Vajpayee from 1998 to 2002. He was made the Minister of External Affairs in 2002, a post he held till the ouster of the party in the 2004 Lok Sabha elections. Interestingly, his son, Jayant Sinha, is Union MoS Civil Aviation in the Modi cabinet.